At first glance it may seem that I don’t know how to spell pineapple. I am not here today to talk about pineapples, but a variety of apple – the Pitmaston Pine Apple. I love these heirloom varieties with these crazy fun names. I like my apples to have these kinds of names over all the four letter apples now appearing in stores – Gala, Fuji, Kiku, Jazz, Opal, etc. A name means so much more when it has more than marketing behind it. 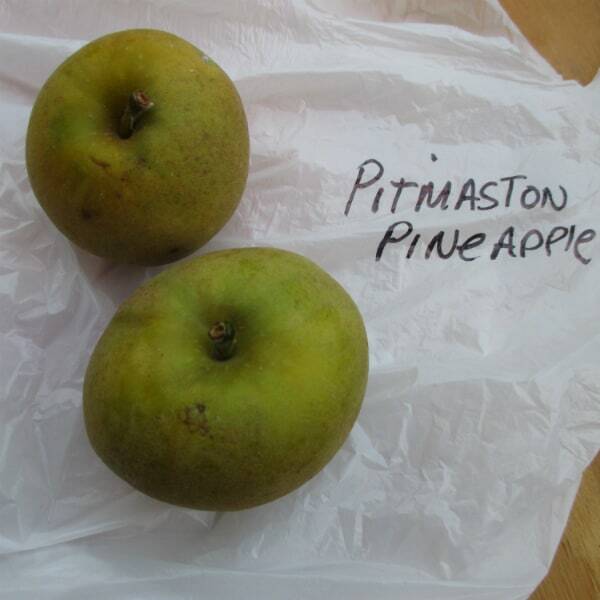 Pitmaston Pine Apple is a very old variety. It dates back to the 1780s (Trees of Antiquity). The name Pitmaston comes from a nursey called Williams of Pitmaston. First off for the record I do not dedicate any pineapple flavor at all in this apple. I think maybe the name is more for the color. They do have a green-yellow hue like a pineapple does. Despite not living up to the pineapple name the flavor is rather good. This apple is sweet/tart. I am a big fan of the skin on russeted apples, so I enjoy the skin on this one. It’s juicy, but not as much as many of the modern varieties you find in the stores. I would buy these again, no doubt. These apples are hard to find. 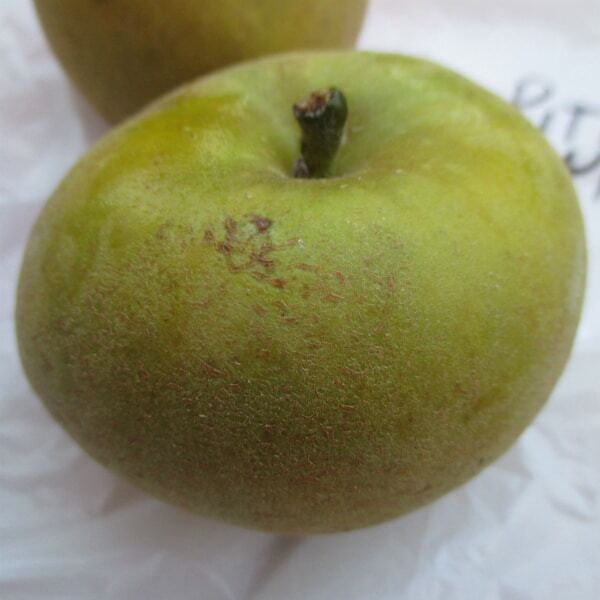 They process two characteristics that commercial orchards do not want, small in size, and the russeting of the skin. This is shame, as this apple tastes better than most you will find at the store. Until we as consumers can show that we care more about flavor than size and appearance, these kinds of apples will only be kept alive by passionate apple growers and apple connoisseurs. I got mine from Tree Mendus Farm in Eau Claire, Michigan. If you want to plant your own tree you can buy them from Trees of Antiquity. Previous Post: « Can You Buy Bison Meat at Costco?